Does Electrical Stimulation Speed Recovery in Baseball Players? ***Disclaimer – placing electrodes on a player (or yourself) does not come without potential risks. The potential for electrical burns and infection are a real thing that warrant, at least in our opinion, the consultation of a professional. 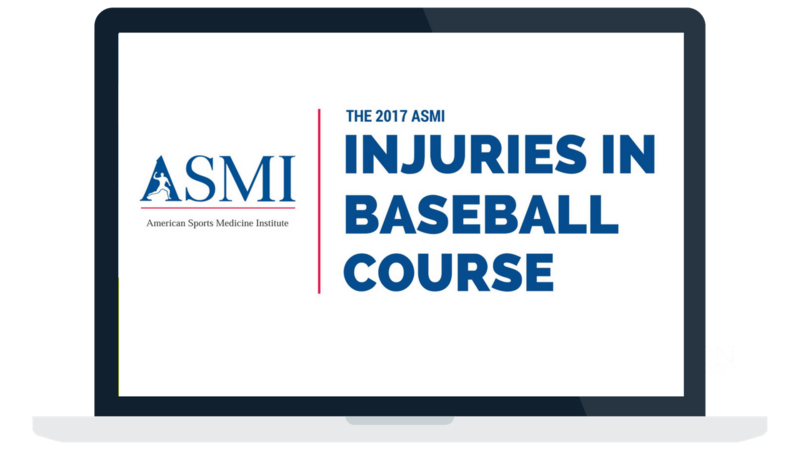 In recent years, there has been a major increase in the usage of EMS (electrical muscle stimulation) units in the baseball world. From the MLB to the high school ranks, it seems like everyone has jumped on the “ESTIM unit” bandwagon, claiming that their inclusion has dramatically improved their performance. Supporters often cite improved blood flow, delayed onset muscle soreness (DOMS), and a quicker return to performance as the key benefits. How Do EMS Units Work? EMS units work by delivering electrical pulses through multiple electrodes, which are positioned over muscle motor points or painful areas. Depending on the frequency, intensity and waveform, the target of the stimulation is either at the sensory level (lower intensity) or the muscular level (higher intensity). The units that are important here are what most people see on social media – the ones that elicit a muscular contraction to improve peripheral fluid flow in the body. The rationale being enhanced peripheral blood flow will accelerate the removal of metabolic waste, decrease inflammation, and promote a quicker return to a player’s performance baseline. In short, it speeds the recovery process after a tough game. What Does The Research Say About The Effectiveness of EMS Units? Professor Nicola Maffiuletti, a leading expert on the recovery process, gave a tremendous lecture for Aspetar Sports Medicine in 2013 on EMS based on a literature review that he co-authored. In his presentation, Maffiuletti reviewed the available research on these units, their potential mechanisms, effectiveness and practical application. Here are some of the major takeaways. Only 3 of 19 studies showed that EMS was more effective than passive recovery in regards to the return of muscle strength, power, activation and contractility. All the other studies were unable to detect a difference between the two in healthy active individuals, recreational sportsmen and professional athletes. EMS was found to be equally effective compared to other modalities in all but one study. Voluntary contractions may be better than EMS at increasing bloodflow because people are able to contract a greater amount of muscle manually. Recruitment via EMS—even at a very high visual analogue score (how much pain you can tolerate) —can only recruit around 15% of the muscle cross-sectional area. If you have ever tried ramping up the intensity on these units, you understand that it can get pretty uncomfortable and sometimes even painful! Of that 15%, it is mostly superficial muscle fibers that are recruited. To recruit deeper fibers and increase that percentage, you would have to increase the intensity of the stimulation. This can only feasibly be accomplished by improving an individual’s tolerance via persistent exposure; something that is difficult to accomplish. There have been many case reports of muscular dysfunction resulting from overusing EMS units. If we overuse these devices we run the potential of creating long-term issues in how the muscle fires. Lactate removal is faster with active recovery than it is with EMS. Maffiuletti concluded that EMS is unlikely beneficial for improving physiological recovery compared to both passive rest (including a placebo condition in one study) and other recovery modalities. EMS is, however, likely beneficial for improving perceptual recovery compared to passive rest, and possibly beneficial for improving perceptual recovery compared to other recovery interventions. STUDY: Effects of Three Recovery Protocols on Range of Motion, Heart Rate, Rating of Perceived Exertion, and Blood Lactate in Baseball Pitchers During a Simulation Game. There is, however, one often cited study in the baseball community by Warren et al. that looked at three different modalities and their effect on a pitcher’s recovery in-between innings. The authors found that a Compex Unit (EMS product) improved blood lactate removal significantly while active and passive recovery did not. Moreover, the Compex group, as well as the active recovery group, reported a significantly lower rate of perceived exertion. Removal of lactate, however, is a naturally occurring process that can take minutes to an hour or two depending on the specifics of the exercise. Lactate removal has not been a good indicator of recovery outside of those timelines. If we know that lactate and metabolite removal is mostly completed within an hour post exercise should it really be the target of any of our interventions? Using EMS in-between innings to reduce lactate concentration may have some merit to it, but we probably need more research before we start making drastic changes. Should Baseball Players Use EMS? There is a general lack of evidence to support the idea that EMS improves physiological recovery and return of strength or power compared to other recovery modalities (passive, rest, or otherwise). If our goal is to improve circulation of blood and fluid flow through a muscle contraction, then EMS seems to be less effective than alternative methods in which voluntary contractions are used. Moreover, if used inappropriately – with too much frequency and intensity – EMS may cause more harm than good. These units are, however, potentially useful in promoting perceptual recovery, a placebo effect in which the player believes he feels strong and ready to play than perhaps he really is. In the baseball world, this may be a significant factor in returning to baseline performance. If an athlete perceives that he is more prepared to throw because of the twenty minutes of stimulation, then this may warrant its inclusion from time to time. EMS units, however, can be very expensive and it’s important to consider whether a device that provides only perceived benefits is a good use of financial resources. Do you use EMS? Leave us a comment and tell me about your experience! https://elitebaseballperformance.com/wp-content/uploads/2018/06/EBP.com-Blog-Featured-Image-Template-June-19th.png 628 1200 Stephen Osterer http://Elitebaseballperformance.com/wp-content/uploads/2016/12/ebp-green-transparent-horizontal-logo-300x96.png Stephen Osterer2018-06-19 06:00:222018-06-15 01:16:19Does Electrical Stimulation Speed Recovery in Baseball Players?